Malala Yousafzai, along with many other fine candidates, may not have won the Nobel Prize for Peace. But that does not make her quest or the others less worthy. Most ideas for promoting peace are common-sense outlines for fairness and justice, and these ideals begin in the home, and such is the case about education as the basis for any endeavor. Motivation to improve one's self and one's community is an existential force. Yet, one individual's motivation can also be viewed as criticism of the status quo, an entire community or society, by the many others who think differently and fear change. Each individual must balance internal motivation, his or her own recognition of essential truths, with the ability to absorb the suggestions and understand the motivations of others. Critics can never be sure if their heated denial deters or strengthens the internal motivation of the other. And how to assess such competing motivations? Motivation is notable when an individual has no personal stake or gain in the battle, no connection to the result, and instead fights for the many others who have no voice. Education can stir or restrain such motivations. The challenge is formidable for the Nobel Prize Selection Committee. It's wise for the rest of us to assess and reassess our own motivations and the characters about whom we write. To truly win at life, we must form and understand our own motivation, and not simply accept a set of plans or ideology. Photo of outdoor classroom in Bamozai, Afghanistan, courtesy of Capt. John Severns, US Air Force and Wikimedia Commons. Censorship and religious extremism go hand in hand. Fearful of free thought and the opinions voiced by other, the extremists are desperate to control others. The efforts to censor typically backfire and demean the religion or system of governance by suggesting it cannot bear scrutiny from others. An appeals court in Malaysia has ruled that the term "Allah" is exclusive to Islam and use by others to refer to another god "could cause public disorder," reports the BBC News. Christians and people of other faiths in Malaysia often use the word to refer to their respective higher power. "Although religious freedom is guaranteed by Malaysian law, the country's Christian, Buddhist and Hindu minorities have long complained that the government infringes on their constitutional right to practice religion freely — accusations the government denies," explains Al Jazeera. Allah is not a Malay word. The origin of the word is Arabic and a contraction of al-'il‘h, or "the god," according to the Oxford Dictionaries. Arab and Christian Muslims alike rely on the word to refer to the higher power. The court ruling does not address use of the word by non-Muslims to refer to the central figure of Islam. 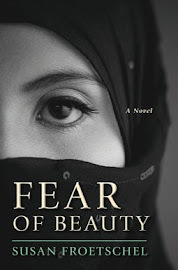 Fear of Beauty relies on the word at least 75 times, and, no, the censors in Malaysia would not enjoy the plot. 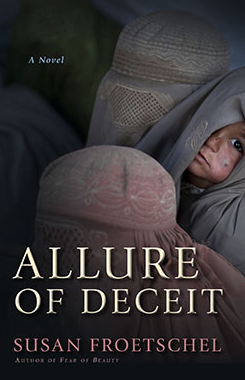 The novel criticizes the constant pressure and bullying from those in our communities who try to censor and control others - and deny cooperation and commonality. Adherents who must control others are deeply insecure. 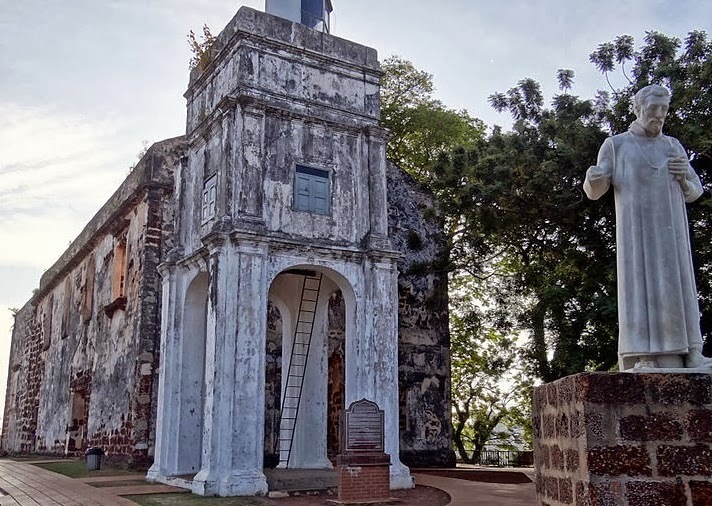 Photo of St. Paul's Church in Malacca, courtesy of Wikimedia Commons and Bjørn Christian Tørrissen.